$30 for a light bulb? In our pre-parenting years, we would have thought that was a ludicrous amount to pay for a bulb. The Sleepy Baby light bulb, however, seems like a veritable bargain compared to the high cost of getting no sleep for months at a time once baby makes three. 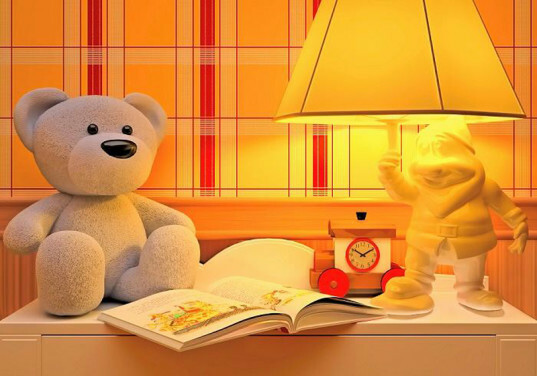 Sleepy Baby is part of a new generation of light bulbs that help soothe us and our little ones to sleep by mimicking natural light and promoting the body’s natural cycles and rhythms. Unlike the circadian rhythm-disrupting short blue wavelengths found in much artificial lighting, including white LED bulbs and illuminated screens (such as iPads and smartphones), these new bulbs stimulate receptors in the eyes that help tell the brain when it’s time to rest and when it’s time to be active. Increased exposure to artificial light over the past 50 years means we have pushed our internal clock back several hours; blue light suppresses melatonin, a hormone that aids in inducing sleep. The new, longer wavelength light bulbs cast a warmer, often yellow or amber glow that mimics natural light and doesn’t interfere with the body’s signals for rest. 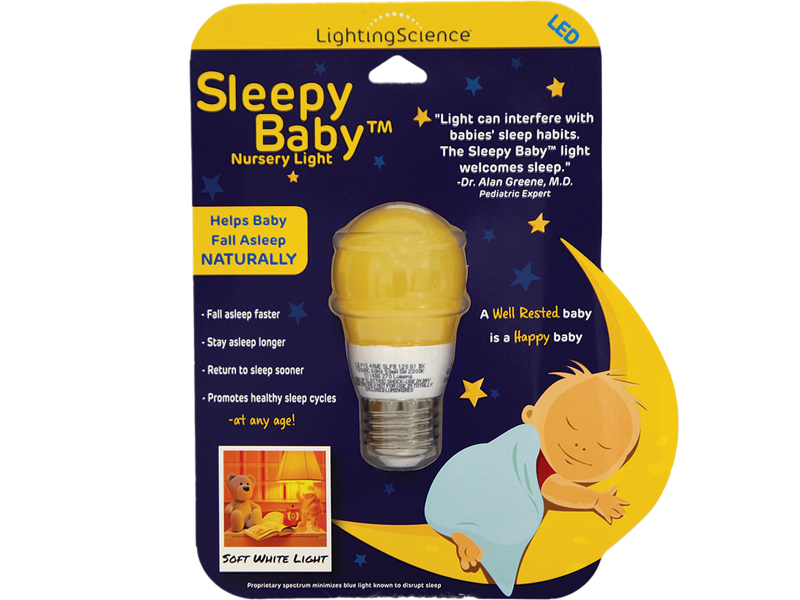 The Sleepy Baby light bulb provides enough light for parents to feed babies and change diapers without disrupting their own circadian rhythms, and babies may drift back to sleep more easily after these activities as well. Babies may not be exposed to blue wavelength light as much as tech-obsessed adults are, but sleep cycle disruptions are just another reason to keep little tots away from screens as long as possible. Having a baby who doesn’t sleep can cause parents to try some crazy and often futile methods, yet a light bulb (especially one with a money-back guarantee) seems like a harmless and affordable attempt at some rest for the whole family.The company that makes Sleepy Baby also makes Awake and Alert lighting, which many of us (or our slow-to-get-going teens) could probably benefit from every morning. $30 for a light bulb? In our pre-parenting years, we would have thought that was a ludicrous amount to pay for a bulb. The Sleepy Baby light bulb, however, seems like a veritable bargain compared to the high cost of getting no sleep for months at a time once baby makes three. 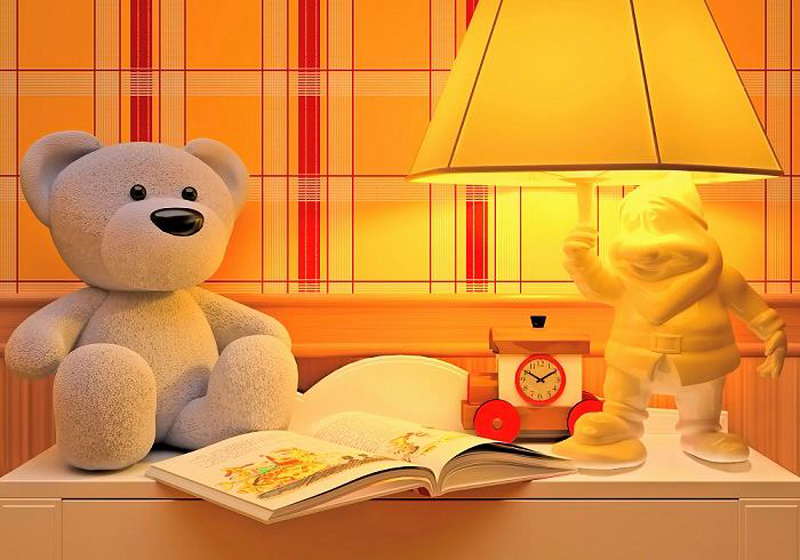 Sleepy Baby is part of a new generation of light bulbs that help soothe us and our little ones to sleep by mimicking natural light and promoting the body's natural cycles and rhythms. Unlike the circadian rhythm-disrupting short blue wavelengths found in much artificial lighting, including white LED bulbs and illuminated screens (such as iPads and smartphones), these new bulbs stimulate receptors in the eyes that help tell the brain when it's time to rest and when it's time to be active.